Our #SuperSaver of the week is…the inspirational Maarten Stekelenburg of Everton! Hello to all my goalkeeping Twitter followers! We saw some awesome goalkeeping in the Premier League at the weekend. There were some great and some truly shocking results – depending whose side you’re on! Here’s a wee summary. Can we get a drum roll please….our #SuperSaver this week goes to Maarten Stekelenburg of Everton! Not only did this marvellous keeper save two penalties, he was also pummelled with 19 shots, only conceding one measly goal. Stekelenburg’s Everton were playing away at Manchester City, with the match ending 1-1. That’s despite Manchester City having 73% of the possession. The draw was in no small part down to our SuperSaver’s sublime stopping! Stekelenburg has already had an illustrious career. He began his career at Ajax, playing 282 games over nine seasons and winning nine honours, including two top flight titles. We’ve got two more awards to announce this week – most clean sheets and the SuperSaver save of the week. 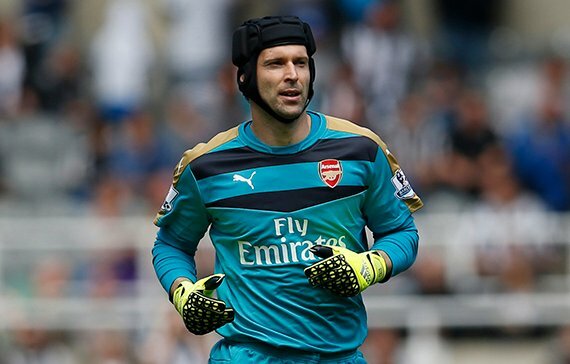 The goalkeeper with the most clean sheets this season so far is… Petr Cech. The Arsenal shot-stopper is in brilliant form with three clean sheets from eight games – that’s certainly worth a round of applause – very well done to you, Mr Cech! Maarten Stekelenburg claims his second award of the week as his brilliant penalty save against Sergio Agüero was a real showstopper and demonstrated his sheer determination to keep Manchester City at bay. He’s had a terrific week and I’m suitably impressed. Here is a wee look at his match highlights against Manchester City.